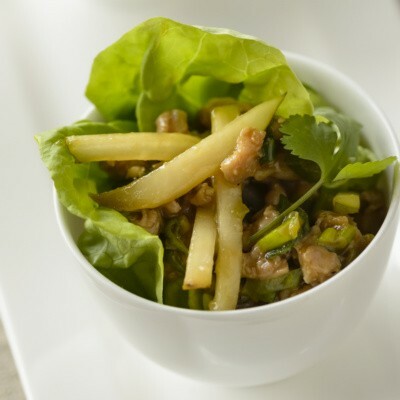 Distinctly Asian in flavor and appearance, this crisp and crunchy pear salad is a distinctive and interesting dinner option. Choose one of two dressings and toss just before serving. For salad: Break rice sticks into 3- or 4-inch lengths. Heat oil to about 375 degrees; fry rice sticks until white and fluffy. Turn once to fry pieces evenly. (Entire process takes less than ½ minute.) Drain on paper towels. Toss rice sticks with remaining ingredients. Serve with choice of dressing. 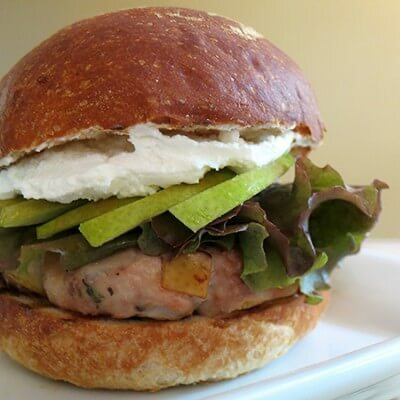 For sesame oil or hoisin dressing: Combine all listed ingredients and mix well.